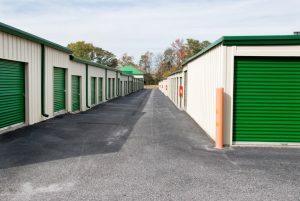 Hopefully you have a lot of lead time before you move date. This is not always the case as some moves happen suddenly with quick job changes or last minute moving decisions. Don’t fret. Whether you have months to prepare or just a few weeks, you do have time to get organized before a move. Here’s the thing about organization. It runs on a continuum. Some people are incredibly detailed and know where every item is. Other people are scattered, and while they still might know where every item is, it’s much more difficult to move these piles of genius. Then there are those who have things everywhere and don’t know where anything is. Obviously, this is the worst scenario for moving. Take the time to get organized now so that you don’t have one more thing to do when you arrive at your new place. If you can get others to help, do so. Kids can be in charge of their own rooms and maybe friend with label makers will come to your rescue in exchange for pizza. For piles of things, drawers, or unruly closets, decide for every item you pull out whether to keep it, toss it, donate it, or give it away to a friend. Have laundry baskets or boxes with each designation to place items. When the toss it, donate it, or give it away boxes are full, get rid of them. Out of the house! In the car, to the dumpster, to the neighbor – wherever it is going, get it gone. Sometimes it is difficult to let go of things even though you know you have too much. Do you have a box of convention swag and old college textbooks that you haven’t looked in in over 5 years? You don’t need it. Instead of spending the time going through every single folder of antiquated homework assignments, post it notes, and keychain flashlights, send the whole box out. This is the fastest way to get to organization by literally getting rid of the things you don’t use. If you haven’t looked in the box or storage for 5 years, it’s not something you will miss. If you are fortunate to have the time, then by all means, look at every item. You might run across a childhood poem or an A+ English paper you want to hang on to for posterity. 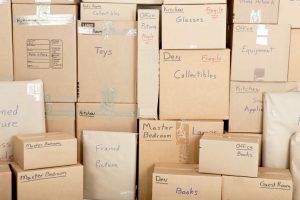 Once you are done to the things you absolutely want to keep, you can better pack and move your items. It’s also easier for movers to know where everything goes in your new home. If you need help with packing, unpacking, or planning a move, On The Move is ready to help. We are ready to get you a moving game plan to make sure your move is a smooth and hassle-free as possible. Get in touch with us today!